care. Recently, the Door County Land Trust implemented two initial landscape restoration projects adjacent to the ponds, in volunteer efforts led by native landscape restorers Nancy Aten and Dan Collins, owners of Landscapes of Place (see photos). 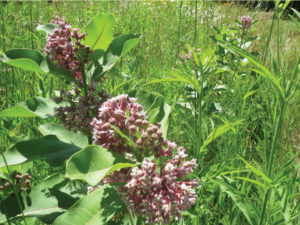 This year, in partnership with the Township of Liberty Grove, who now owns the property, the Door County Land Trust will embark on an expanded effort to restore three acres surrounding the ponds by replanting native species. 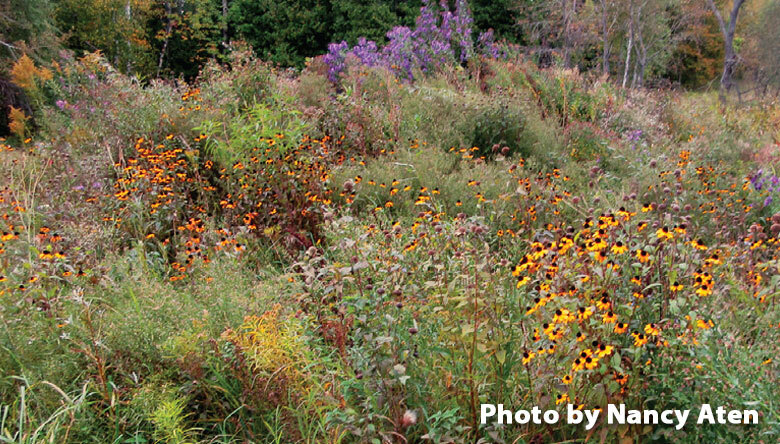 The Land Trust is contributing funds for native seed and plants, thanks to membership and donor support. When completed, the pond’s shorelines and surrounding habitat will add to the GRAND view!